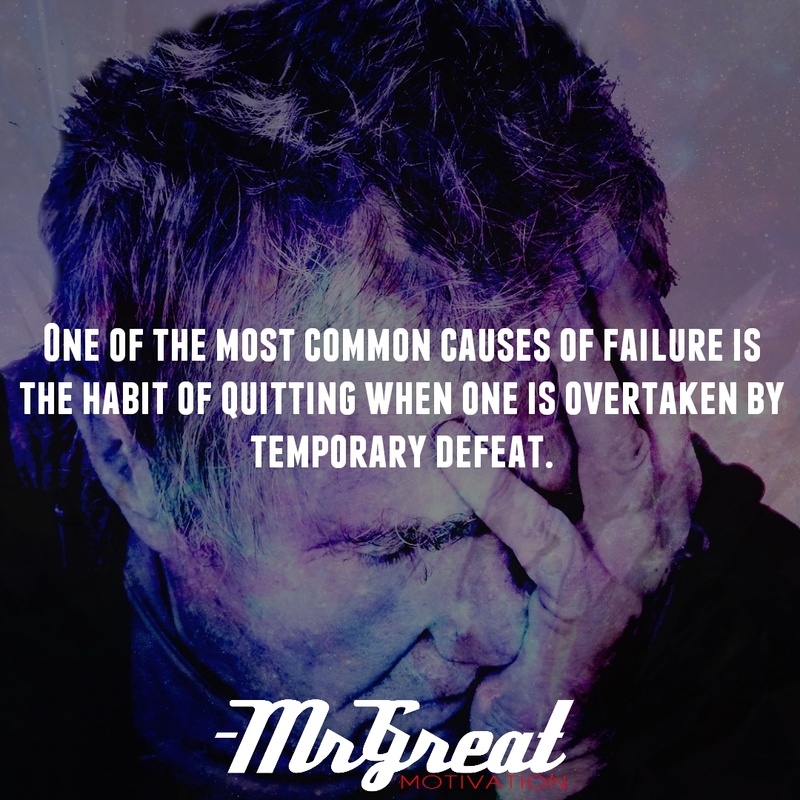 Home Motivational Quotes One of the most common causes of failure is the habit of quitting when one is overtaken by temporary defeat. Before success comes in any person’s life, he is sure to face much temporary defeat. When defeat overtakes a man, the simplest and most logical thing everybody does is to quit. Greatest success came just one step beyond the point at which defeat had overtaken. Quitting should never be an option if we want to become successful. Get clear on what we want and put in the work to make it happen. Failure is a trickster with a keen sense of irony and cunning. It takes great delight in tripping one when success is almost within reach. Sometimes things go wrong, the road we’re trudging seems all uphill but we should not quit, we should stay motivated in tough times. Every one of us sometimes learns, and many a fellow turns about when he might have won had he stuck it out. Don’t give up though the pace seems sluggish. You may succeed with another kick. Often the goal is nearer than it seems to a dizzy and faltering man. Most of the time the struggler end up when he might have captured the victor's cup, and he learned too late that how close he was to the golden crown. The moment he was about to quit is the moment right before the miracle happens. Don’t give up. Stay Motivated.